Yoon Ji Seon‘s embroidered portraits blend fiber and photography. Much of work consists of self-portraits, with varying degrees of emotions, abstraction, and detail. Her “Rag Face” series goes back to 2006, when she started experimenting with these mixed-media pieces. 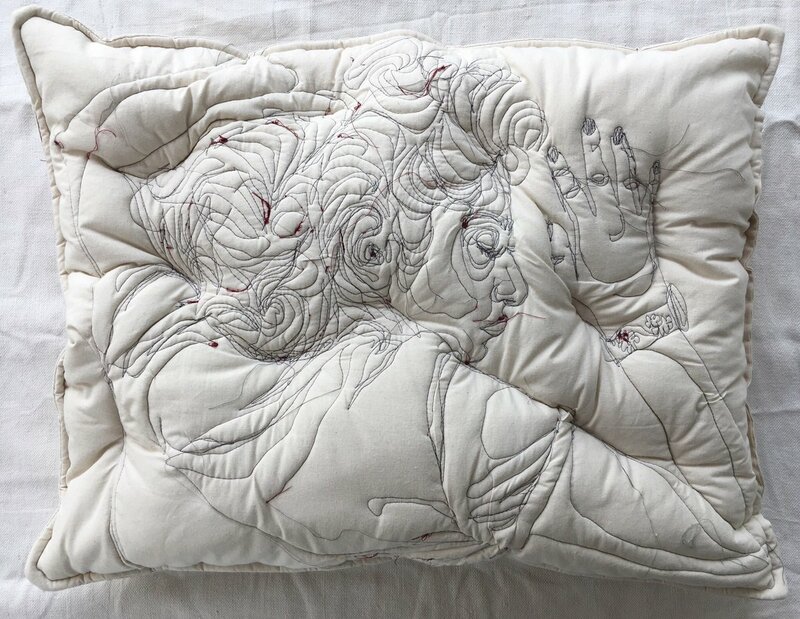 The embroidered monsters of Tracy Widdess add an unexpected texture to the horror genre. 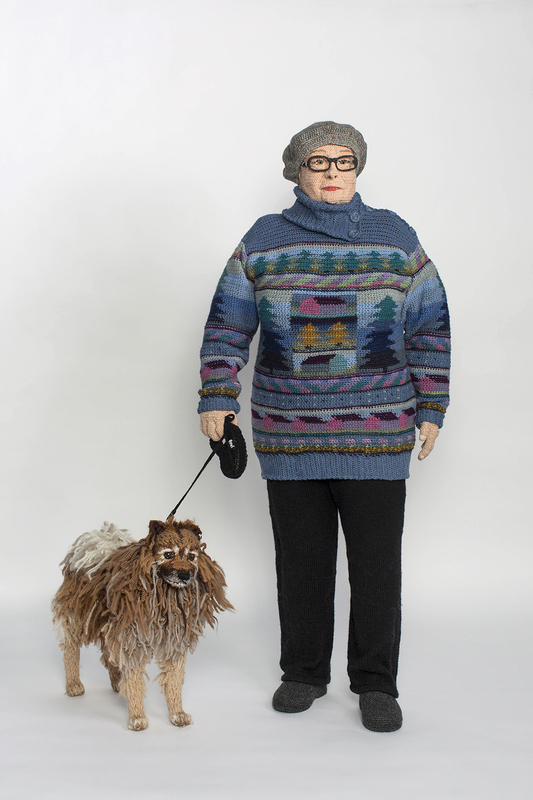 The Vancouver artist has called her practice “brutal knitting.” And with her talents in crafting textile fright, she embodies that label with both wearable and standalone pieces. In the series “Ça va aller,” photographer Joana Choumali adds embroidery to images captured of her African hometown, Abidjan, in the days after the March 2016 Grand-Bassam terrorist attack that took 19 lives and injured 33. She began embroidering as a way to cope, with the series evolving from this approach. The artist observed a melancholic population following the event.